When joining a new team or organization we need to be aware of what is going on before we can start our efforts to help the organization. How can we do that? Arif shares with us 3 tools he uses regularly that help him understand the system and define his next actions as a Scrum Master. Posted on November 23, 2017 December 11, 2017 Author vascoCategories PodcastTags Arif Bobat, scrum master success, successLeave a comment on Arif Bobat: Flirt the breaking point for breakthrough results! There are plenty of opportunities to help teams and organizations change and improve. In this episode, we talk about how trying to help teams reduce project risk can help drive change. Arif explains the steps he took to help the team change the way of working by focusing on simply reducing the risk of the project. A simple project management approach that can drive change to our ways of working. In this episode, we discuss the concept of a Walking Skeleton that can help focus the team and reduce project risk. 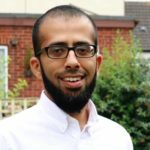 Arif is an experienced Scrum Master with a passion for enabling teams achieve their potential, Arif loves challenging situations. In the last 5 years he has been made redundant twice and fired twice. He is not afraid of speaking up when he sees anti-patterns and/or a lack of willingness to change behaviours. In this story that Arif shares with us, he explains how you can focus the team because if you don’t the teams might succumb to indigestion: wanting to do too much. But how can you help the teams escape that anti-pattern? Listen in as Arif describes the steps he took to help the team getting out of that indigestion anti-pattern. As we discuss the anti-pattern we refer to the 3C’s for User Stories, a way to look at User Stories that drives collaboration. In this week’s book of the week, we get a BONUS! Arif recommends Drive! 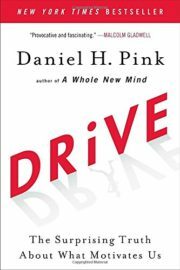 By Dan Pink and Story Mapping by Jeff Patton. Check out why!